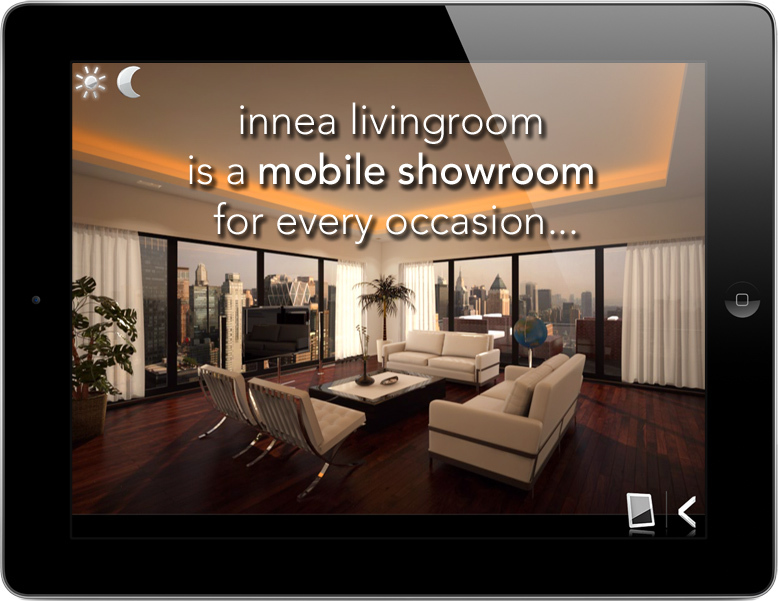 Quickly show prospective clients a fully-equipped automated living room without the expense of setting up an extensive physical demonstration. 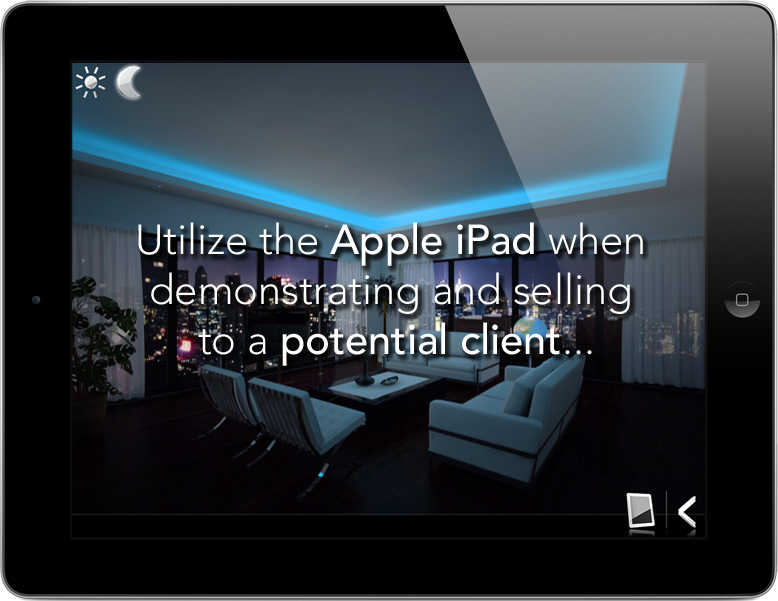 While presenting on the iPad, start the livingroom within seconds. No more demo disasters caused by connection problems. The intro video immerses your client directly in the scenery. 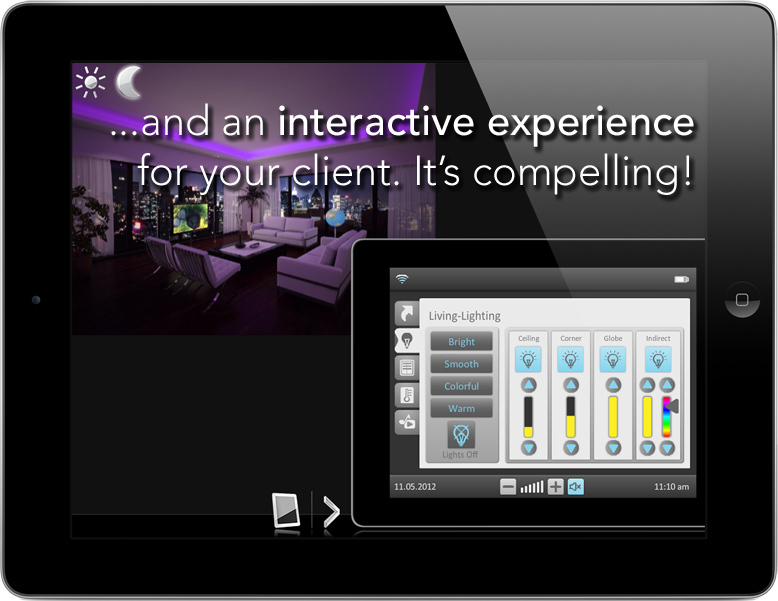 Featuring lighting, audio/video and shading controls. Safe, easy and intuitive to use, as you expect it from an iPad App. Every prospect knows instantly, what you are talking about. You can try this app 14 days for free and without any obligations. If you like what you see, you can buy the full version as In-App Purchase for USD 99.99 directly in the app. If not, just delete the app from your iPad again. No worries!